Conflicts may be triggered by generational differences. Grandparents are likely to have quite different attitudes about money than their children do, and the grandchildren may have yet a different set of attitudes. Here are some of the common differences that may cause conflict between the generations and how they are best solved. Many young families, having some idea of the total worth of their parents, think that their parents are overly tight-fisted with their money. Perhaps the grandparents have a million dollars in assets. That sounds like a lot to young people who are living paycheck to paycheck, but in actuality, it may not be enough. The reality is that grandparents who either have reached the end of their working years or who may be approaching retirement cannot afford to squander their assets. With the possibility of living 20, 30, or more years past retirement, assets that seem bounteous to younger people may not be enough to take care of the older generation's needs, including health care and long-term care. Solution: The best strategy for dealing with this situation is communication. Grandparents should research the cost of for assisted living, home health care, nursing home care, and other options for elder care. When they share the information with their children, the kids should understand that their parents' frugality may be justified. Of course, some grandparents are struggling themselves, due to fixed incomes or disability, and may actually require financial assistance from their children and grandchildren. About three-fourths of Americans believe that children are obligated to help aging parents, according to a study by the Pew Research Center. Regardless of what people believe is right, sometimes no one in the family has the extra funds to help them, and they must rely on government assistance or charitable resources. Another scenario that occurs is that the children are not equally willing or able to give assistance. This can cause serious conflict between siblings. Solution: The key to this particular conflict is to understand that there is more than one type of contribution that can be made. Adult children who cannot afford to give financial help can often donate time and care. They can help with housework or home repair, provide transportation, go to medical appointments and help with paperwork. Alternately, siblings can agree that the person providing the financial help will be repaid out of life insurance proceeds or other assets when the parent passes away. If children and grandchildren are in need, grandparents often help them out. The Pew Research Center reports that around half of Americans believe that parents should be willing to help out their adult children. Where grandparents may go wrong is in thinking that their assistance entitles them to manage the younger generation's financial affairs. It is okay for grandparents to give money for a specific purpose and to specify that it must be used for that purpose. It's not okay for them to feel that giving financial assistance entitles them to call the shots about the family's expenditures in general. Solution: Grandparents who want to give money to children or grandchildren need to be wise givers. If they want to give money for a particular purpose, they should pay it directly to the company or agency involved. That avoids the problem of the money being used for something different. When grandparents give money with no strings attached, they have no right to judge how the money is spent. Favoritism by grandparents is always problematical, and it is even more so if money is involved. Still, equity isn't easy to achieve. Some family members may be needier than others, and grandparents may feel impelled to give more to them. The better-off members of the family may feel, with some justification, that they are being penalized for being better providers and/or managers. Solution: One answer is for grandparents to keep track of the money that is being spent on family members and adjust inheritances accordingly. The problem is that this may require a constant re-jiggering of the will. Another problem is that it may become an issue which expenditures should be charged against the inheritance and which should not be counted. Recognizing the difficulty of some of these issues, family members should understand that total equality is not possible and accept some inequities. When grandparents pass away, siblings should agree that there is nothing in the estate that is worth quarreling over. Unfortunately, some families aren't able to pull this off. Solution: Inheritance issues are less likely to occur if grandparents have let their children know how they plan to handle their estate. Grandparents should never use the possibility of an inheritance as a bargaining tool. It's equally bad to use the threat of losing an inheritance as a means of coercion. Decisions about estates can be enormously complicated when stepfamilies are involved. In these cases, it is doubly important that grandparents seek legal advice to make sure that inheritances end up where they were desired to go. The stereotypical image of grandparents as wildly indulgent isn't true for many grandparents, who may have grown up in a more frugal time. For example, many grandparents help pay for college for their grandchildren, but others may decline, feeling that the grandchild isn't taking college seriously or has chosen an overpriced institution of learning. Solution: Grandparents are not obligated to give money to grandchildren. If the grandparents have promised assistance with college, they should live up to their commitment. Grandparents who don't want to arbitrate how grandchildren use money can will money to the grandchildren. The grandkids may not spend it wisely, but it won't matter to the giver. 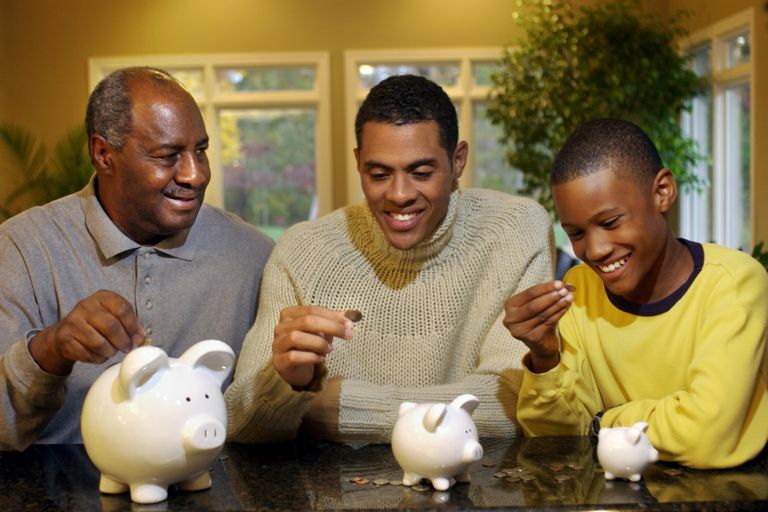 When it comes to finances, grandparents face an especially difficult challenge. Most would like to make life easier for their children and grandchildren, yet they also want to see them standing on their own. They know that relationships are more important than money, yet they also know that financial hardship is no fun. Family disputes that result in loss of contact with grandchildren are sometimes engendered by disagreements over money, so it is prudent for grandparents to approach all such matters carefully and with forethought.